We all know that Hillary Clinton supporters are still sour over their 2016 loss. I mean it’s still festering. Some of these people simply cannot move on; they’re still mad about Russia, sexism, misogyny, the FBI, the media, etc. and the supposed role they had in sabotaging her majesty’s presidential hopes. Frankly, Hillary was a terrible candidate. We all know this. And the one issue that sunk her on character issues was trustworthiness and honesty. 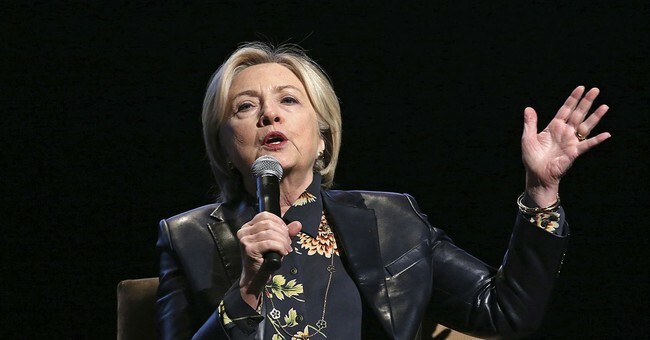 Her email fiasco, in which she used an unauthorized and unsecure home-based server for all her officials State Department business, defined her over a year prior to Election Day 2016. Her inability to answer for it only exacerbated the problem. It festered in the primaries and by the time we entered the general, recovery was not an option. It was a bad throwback to the 1990s, where the power couple faced similar criticisms, which is that they’re secretive and play by a separate set of rules. Still, some think the media, instead of Hillary’s awful qualities as a candidate, were more to blame for Trump’s election win. Vox’s Ezra Klein tweeted about it after it was revealed that tens of millions of Facebook users had their data taken by researcher, Dr. Aleksandr Kogan of Global Science Research, which had a contract with Cambridge Analytica, the firm that helped the Trump campaign. GSR used an app to siphon data off the user who took it, along with all of the user’s friends as well without their consent and passed that information off to Cambridge to build voter profiles. Enter Business Insider’s Josh Barro, who picked this view apart. “This is not an unpopular opinion. The Clintons and their acolytes have spent decades insisting their negative public image was everyone's fault but their own,” he said. What about conflicts of interests? Yeah, remember the Clinton Foundation? “If the Clintons wanted to avoid the appearance of conflict of interest maybe, for example, Huma Abedin should have not been simultaneously on the payroll of the State Department, Teneo, and the Clinton Foundation. The media didn't do that to them, though it did report it,” Barro added. Needless to say, liberals were triggered and incensed over yet another thread showing how flawed of a candidate Hillary was—and that’s a lot since Trump was not the strongest candidate, but the only one the Republicans had who could have won with the 2016 electorate. Hillary was flawed. It’s time for the Left to recognize this. It’s time for them to realize that she had no political skills. She was not a good campaigner. And that she will never be president. All of this not being the fault of the media, though they’ve stepped on a rake many a time in covering this White House. Another big reason that Trump won: Hillary was a terrible candidate by any measure.